Ian McGee, senior, attempts to take down an opponent at Regionals on February 9. McGee placed third in the 113 weight class and will be advancing to State next weekend. 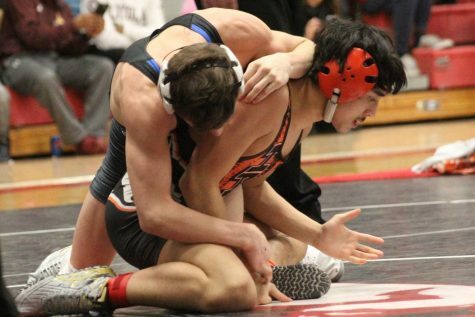 The wrestling season survives another week as Ian McGee, senior, will be advancing to the IHSA State Championships. McGee went 3-1 and placed third in the 113 weight class at the Barrington Sectional on Saturday, February 9, securing a spot in the State Finals. Justin Wollard, senior, and Joey Mrazek, junior also competed at Sectionals. Wollard went 2-2, advancing to the consolation bracket quarterfinals, and Mrazek went 1-2 with a first-round bye, making it to the semi-finals of both brackets, but eventually fell in the consolation semi-finals, eliminating him from State contention. McGee will now be headed to the University of Illinois next weekend to compete in the 113 division at State. 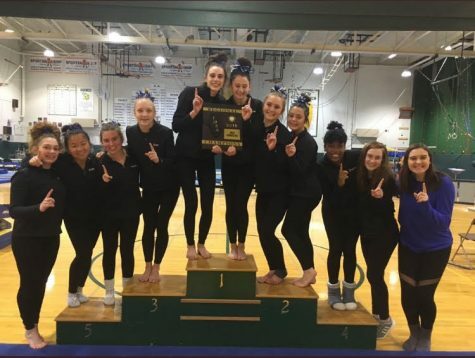 Fresh off their historic Regionals victory at Fremd last week, the girls’ gymnastics team competed at Sectionals at Conant on Thursday, February 7. 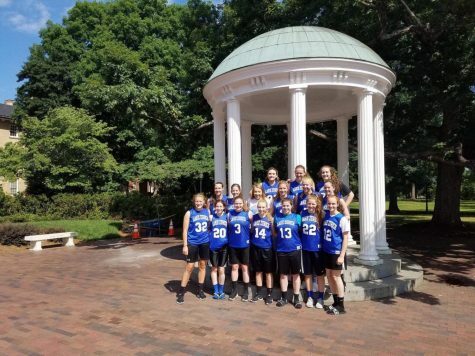 The team finished fifth, ending the team season, but there were two individuals able to secure slots at the State Championships next week. 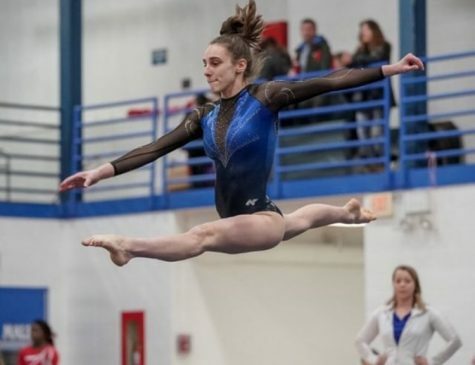 Carly Trebac, senior, advanced as an automatic qualifier on beam, placing fifth, and vault, placing fourth, and also as an at-large qualifier on floor. Joanna Topa, junior, advanced as an at-large qualifier on beam. 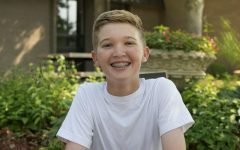 “My mindset [for state] is just to go out and have fun at my last high school meet, and also to do exactly what I trained all season to do,” Trebac said. The two girls will be heading to Palatine High School next weekend to compete at State and hopefully will end the season strong with some hardware. Gabby Vitale, senior, and Amanda Kouros, freshman, both qualified for Sectionals by advancing as individuals at Regionals, and although they fought hard at Sectionals, their season will come to an end. 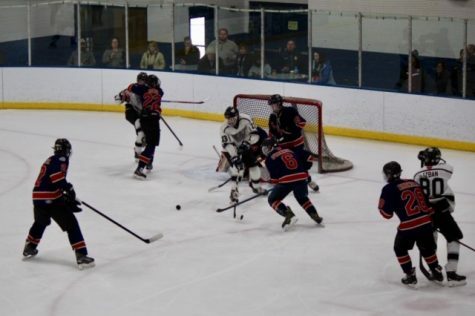 The team will head into next season looking to build upon this year, which was highlighted by a conference championship for both the Varsity and JV teams. 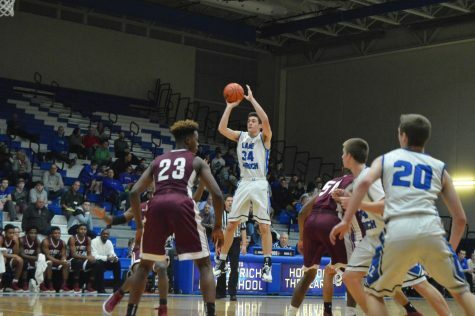 The boy’s basketball team had a rough schedule this week, facing Stevenson, Libertyville, and St. Viator, falling in all three games. 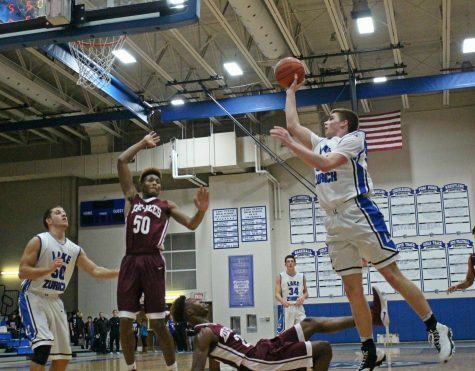 On Wednesday, the team fell to Stevenson 55-42 even with a valiant effort of 19 points from J.R. Cison, senior. 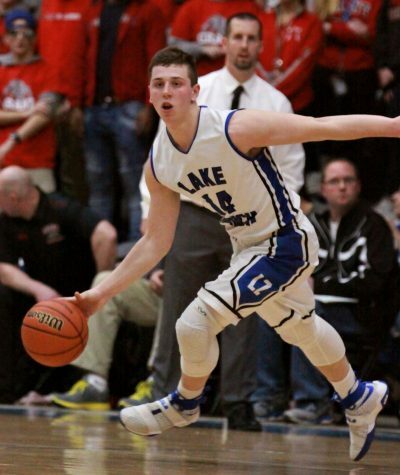 On Friday’s senior night, the Bears fell to Libertyville 70-54 also with a strong performance from Cison, who scored a game-high 22 points. The team finished the week with a 51-41 loss at St. Viator on Saturday. 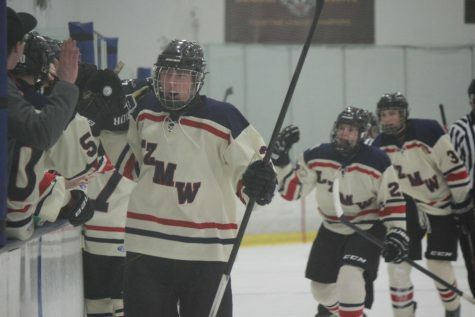 The team, now 7-20, will get set for their upcoming week against Warren and Mundelein. The girls basketball team poses after a game at Fremd earlier this season. The team now enters the postseason on an 8-2 run and will face Buffalo Grove on Tuesday. 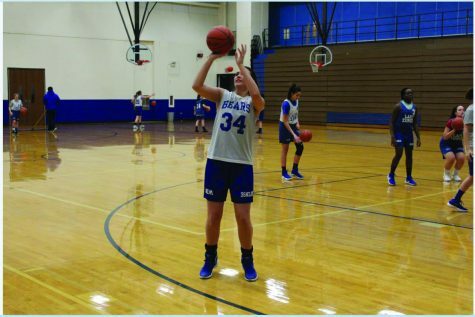 The girls’ basketball team ended their regular season with a 35-31 victory at Warren on Wednesday, February 6. 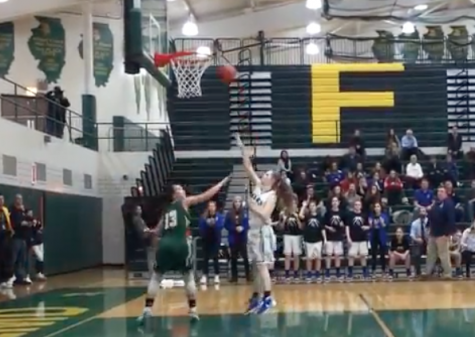 The win was backed by junior Ella Gilbertson’s 14 points, junior Margueret Spear’s 9 points, and senior Maddy Piggott’s 8 points. In 2019 alone, the team has been on fire winning 8 of their last 10. The team finished the regular season 16-14, and finish third in conference at 9-5. 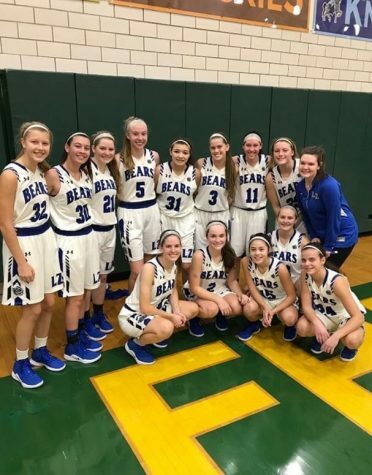 Now the girls will prepare to begin postseason play on Tuesday at Lake Forest playing Buffalo Grove in the Regional semi-finals. 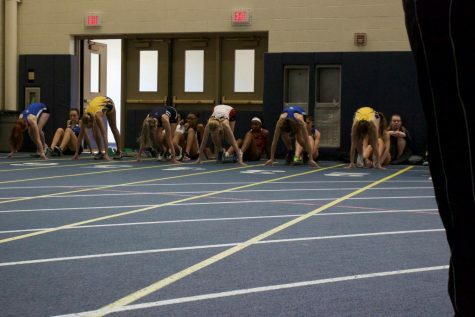 The girls’ track and field team started their indoor season off on Saturday with the Lyons Quad. Highlights include junior Izzy Klett’s all-time best long jump of 17’6”, senior Emily Burns’ all-time best 1600 meters with a time of 5:18, senior Georgia Adams with an all-time best 55 meters with a time of 7.6 seconds, and junior Gretchen Quinn’s all-time best 55-meter hurdles with a time of 9.5 seconds. There were also victories in two team events: the 4×800 meter relay with a time of 10:13, and the 4×400 meter relay with a time of 4:27. This week the season kicks into gear as the team will compete at Maine South, and also at the Wheeling Invite this Saturday. You forgot to mention the boys swimming conference meet which happened February 9th, 2019.